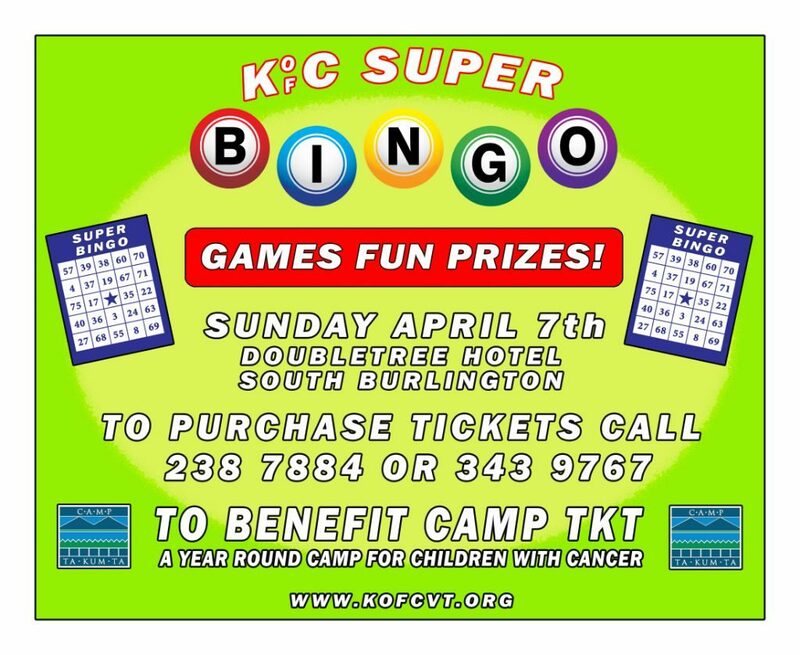 This year’s annual Super Bingo is Sunday, April 7th at The Doubletree Convention Center in South Burlington. All proceeds will benefit Camp Ta-Kum-Ta. 10-regular games for $500, 2-special games for $1000, pull tab games and a silent auction. Only 530 seats are available. Tickets go on sale Friday, February 15th. To avoid disappointment, purchase your seat early. Doors open 10 AM on game day and the first game starts at 12:30 PM. Admission is $50.00. Don’t delay buy your ticket today. Call 238-7884 or 343-9767 to purchase your Super Bingo seat.